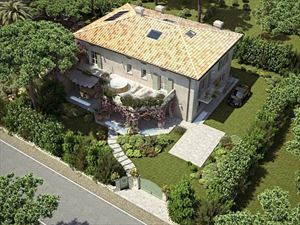 Beautiful Detached Villa with swimming pool of very recent construction, inserted in a context of extreme privacy and tranquility in the Caranna's area of Forte dei Marmi, with private driveway. 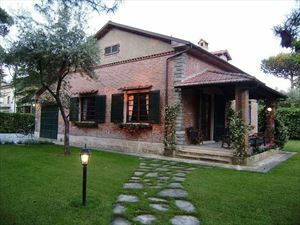 On the ground floor there is a double veranda, one with garden furniture, the other with an outside dining table. At the entrance there is a lounge with living room, dining room and kitchen, and the guest bathroom. 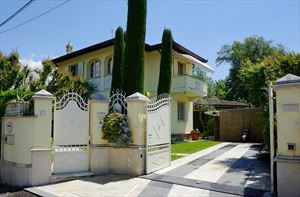 On the first floor there is a double bedroom with private balcony and closet room, two bathrooms with shower, one twin bedroom and another double bedroom with exclusive balcony. 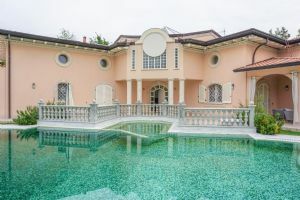 The villa is also equipped with alarm system, air conditioning, outdoor barbecue, car parking, automatic gate and Wi-Fi internet connection.